Toronto — The Canadian government should ban trans fat, introduce new standard nutrition labels for front-of-food packaging and launch a major public-awareness campaign to promote healthy food choices and physical activity, a House of Commons committee “shocked” by the increase in youth obesity says. The recommendations are among 13 tabled Tuesday in a comprehensive committee report titled Healthy Weights for Healthy Kids, which examines the “epidemic” of childhood obesity in Canada. The report says 26 per cent of young Canadians aged two to 17 – more than one in four – are overweight or obese, compared with 12 per cent three decades ago, an increase that “shocked” the committee, it said. Even more distressing, the report adds, is that 55 per cent of aboriginal children on reserve and 41 per cent off reserve are either overweight or obese. “We've got a serious problem,” said MP Rob Merrifield, chairman of the standing committee on health. “We've got to do a paradigm shift and it's going to take a concerted effort by every Canadian,” Mr. Merrifield said, noting that similar efforts were needed to convince people to use seat belts. “The public needs to know, more than anything else, they're just eating larger meals than they should eat for the amount of exercise they are expending,” he said. For children, those meals too often include fatty and processed foods and sugary drinks loaded with calories. The report says that sugary drinks may be responsible for as much as one pound a month of weight gain in adolescents. Obesity costs Canada an estimated $1.6-billion annually in direct health care costs – 2.4 per cent of total health care spending. There's another $2.7-billion in indirect costs including lost productivity, disability insurance, reduced quality of life and mental-health problems because of stigmatization and poor self-esteem, the report says. The committee wants the government to set hard targets to halt the rise by 2010, in time for the Vancouver Olympic Games, and to reduce obesity rates in children by 2 per cent by 2020. The most concrete recommendations include a legislated ban on trans fat – the industrially produced unsaturated fat found most often in baked or fried foods. Trans fats have been shown both to elevate “bad” cholesterol and lower “good” cholesterol. The committee also recommends a mandatory, standardized nutrition label for the front of food packages. The new label would be phased in starting with foods advertised primarily to children. “The proliferation of unregulated, front of package logs, based on different criteria and delivering different information, has led to confusion and mistrust among consumers,” the report states. Dr. Ball said he welcomed the report's emphasis on data collection and hard scientific numbers, and how its “big picture” policy strokes draw attention to the complexity of obesity. The government has 120 days to respond to the report. March 21 (Bloomberg) -- The market for surgery and medical devices to treat the rising number of obese patients will grow to $1 billion by 2011, double last year's amount, a study found. Hospitals and other medical facilities will buy more large- capacity beds and wheelchairs, special scopes, and gastric bands that limit how much food the stomach can hold, the study by the Millennium Research Group, a research firm, said. Doctors will perform more operations, including bariatric surgery to shrink stomach capacity, the Toronto-based firm said. About 33 percent of U.S. adults were obese in 2004, up from 15 percent before 1980, figures from the U.S. Centers for Disease Control and Prevention show. The condition can lead to heart disease, stroke, gallbladder disease, and some cancers, the CDC says. Allergan Inc., Johnson & Johnson, and Tyco Healthcare Group LP are among the companies that make devices targeted to obese patients, today's report said. Procedures for the obese ``are on the rise for everything from kidney stones to heart disease,'' said Jaya Classen, a senior analyst with Millennium, in a statement. 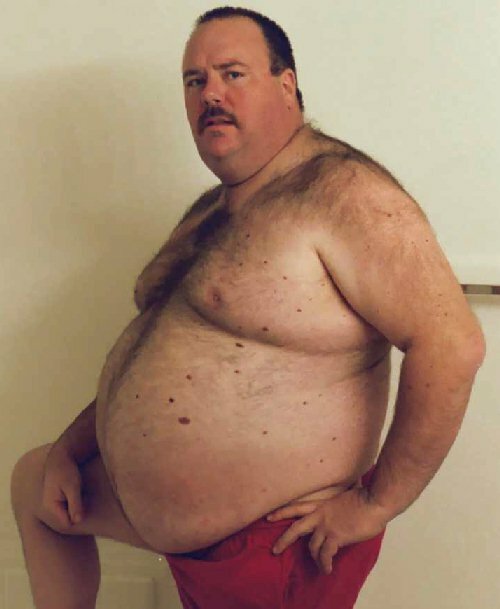 It's becoming ``increasingly common'' for very obese people to require medical treatment. Allergan led the market ``by a large margin'' because of rapidly growing sales of the Lap Band adjustable gastric band, used in bariatric surgery, the report found. Other market leaders, besides J&J's Ethicon Endo-Surgery Inc. and Tyco's United States Surgical Corp., are Skytron and KCI. Hillenbrand Industries Inc. in January introduced a new line of specialty stretchers with a reinforced frame and other components to support up to 700 pounds of body weight. The company two years ago introduced an adjustable bed designed to support patients weighing up to 1,000 pounds. 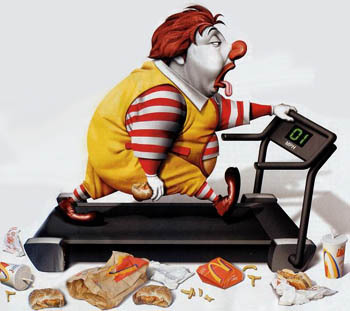 The number of extremely obese people will total 13 million in 2011, up from 11 million last year, the report said. From 1996-1998 to 2002-2004, the average annual number of bariatric operations among obese adults increased more than ninefold, the Centers for Disease Control said. 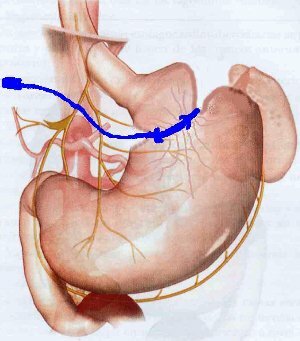 The procedure supports weight loss by reducing the body's ability to absorb food and increasing the sensation of fullness. Patients on average lose more than half their body weight. TORONTO, March 26 /CNW/ - Ontario is facing a huge challenge to reduce and better manage chronic diseases, the Ontario Health Quality Council (OHQC) said today in releasing its second annual report. "The way we handle chronic diseases is at the top of our `needs improvement' list," said OHQC Chair Ray Hession. "The number of people living with chronic disease, such as arthritis, diabetes, and heart failure is increasing as our population ages - and yet many of these cases could be prevented or better treated. Ontario needs a coordinated, system-wide, long-term strategy for reducing and better managing chronic diseases. People will be healthier and it will ease a large pressure on our health system." about 70 percent suffer from two or more. 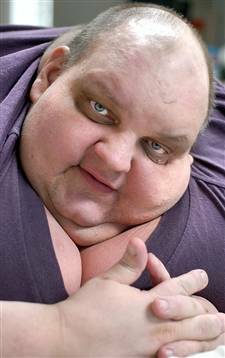 -   Obesity increases the likelihood of developing many chronic diseases. more likely to develop this disease. food, physical fitness, clean environment and meaningful, safe work. applied more broadly in the health system. dropped by half, from 11 percent to 6 percent. percent to 88.9 percent over six years. The OHQC report emphasized that Ontario must work to continually improve the quality of its publicly funded health care. "Ontarians want independent third bodies to regularly rate, measure and publicly report on their health system," Hession said. "The OHQC does this on a province-wide level, but we also need this to be done at the regional level and for each local health care organization. Practices such as accreditation drive improvements in quality by measuring how well individual institutions stack up against proven best practices and by spotlighting where there are problems, so that improvements can be made." For the second year in a row, the OHQC reported that a major barrier to accountability and quality improvement is a lack of information about what is taking place in the health system. "If we can't measure quality, we can't manage it effectively, it's that simple," Hession said. The Ontario Health Quality Council is an independent agency funded by the Government of Ontario through the Ministry of Health and Long-term Care. The Council reports directly to Ontarians on access to publicly funded health services, human resources in health care, consumer and population health status, outcomes of the health system and ways of improving it. The Council is made up of 10 appointed members from across the province who have a diverse range of expertise, including hospital governance, medicine, academic and research work, business, public and health policy, ethics and aboriginal and community leadership. The childhood obesity "epidemic" is so disturbing that today’s children will become the first generation in some time to have a shorter life expectancy than their parents, a new report says. Entitled Healthy Weight for Healthy Kids, the report was issued by the Commons health committee today. The committee said it "shares the fears of many experts who predict that today’s children will be the first generation for some time to have poorer health outcomes and a shorter life expectancy than their parents. The committee noted that Canada has one of the worst rates of childhood obesity in the developed world. Weight problems can bring on Type 2 diabetes, heart attack, stroke, joint problems and mental health issues. 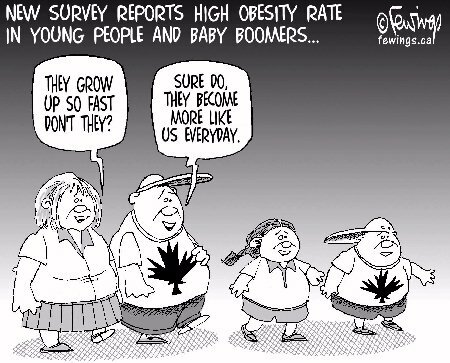 Recent data indicate that 26 per cent of Canadians aged 2-17 are overweight or obese, up from 15 per cent in 1978. The committee heard that children continue to consume too many calories in fatty and processed foods and in sugary drinks. The report proposed 13 recommendations, stating that to address the problem, programs that promote healthy weights for children have to be rewarding. In addition, the committee said that interventions must take place at all levels - individual, family, community, school as well as all levels of government. The committee also said it’s important to set specific, measurable health targets. "The committee recognizes that childhood obesity is a complex and multi-dimensional problem that must be tackled immediately," the report said.